Do you ever feel like you’re playing a game of “Whack-A-Mole?” The same problems, previously thought to be solved, keep popping up in different areas of your practice at different times. One of the reasons may be that the root cause of the problem has not been identified and dealt with effectively. Lean offers a number of solutions to this situation. Toyota uses a method called “Practical Problem Solving” or 8-Step Problem Solving, that provides a structured way to investigate and solve problems. 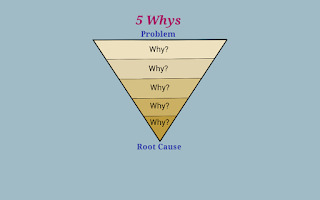 In step 4, one method for root cause analysis is called “The 5 Whys,” which suggests that you ask “why” five times, sequentially, in order to find the root cause. Why does that problem occur? Why is that? We keep drilling down deeper, rather than just answering the original why five different ways. 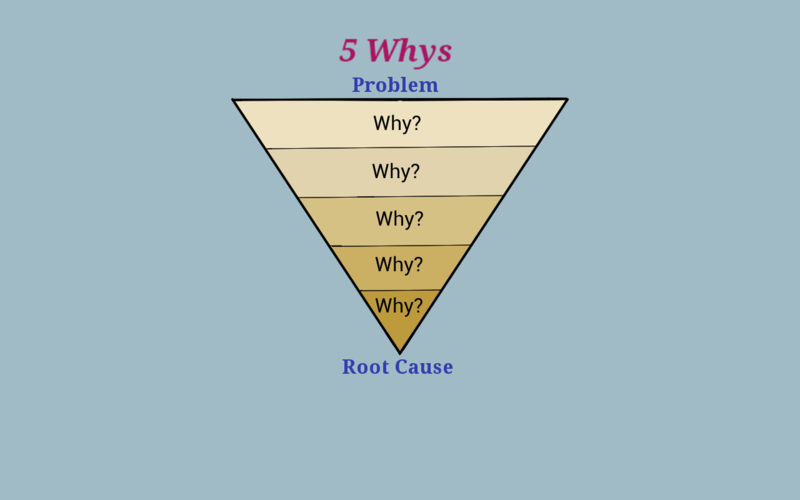 The number five is somewhat arbitrary - it’s not always five whys that are required. The idea is to ask enough times to get to a root cause or causes, to get beneath the surface of a problem. Once suspected root cause(s) are identified, countermeasures can be tested and, if they are effective, standardized work can be updated or written to prevent recurrence. It is important that this take place at the gemba, where the problem occurs, with all stakeholders present in order to build consensus about an appropriate countermeasure to test. If, at this point, you continue to have recurrences of the same problem, then it’s possible that the correct root cause was not identified, or there’s a different root cause this time, or standards that have been put in place are not being followed. Why was there fluid on the ground? Because the hydraulic cylinder had stopped working. Why had the hydraulic cylinder stopped working? Because the filter was clogged. Why was the filter clogged? It had not been changed in a long time. Why hadn’t it been changed in a long time? There was not a standardized work method for doing so. There were not clear roles and responsibilities, nor was there a standard changing frequency. So, instead of just putting out the fire and replacing the filter, a Lean organization would look for a more systemic cause and countermeasure. Not having standardized work could have caused the machine to fail in a catastrophic way, possibly harming an animal or a tech. Just replacing the filter would not have fixed the process in a root cause to prevent the same problem from occurring in the future. Asking “why?” and digging deeper allowed the tech and engineering to come up with a better solution.